This 3 bedroom, 2 1/2 bath Greek Revival home was meticulously and lovingly restored in 2007 adding updated conveniences while maintaining it's original character. 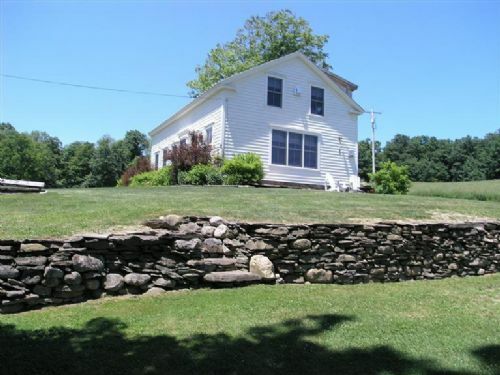 It sits on 12.77 acres with beautiful views of the Fly Creek Valley from every room, stonewalls and apple trees. The location offers quiet serenity and is only 15 minutes to Cooperstown, NY and 3 hrs. to NYC. This home is in absolute move in condition and remains an open pallet ready for your own touch.